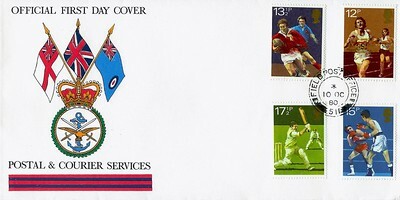 The red ink has been omitted on the print run. 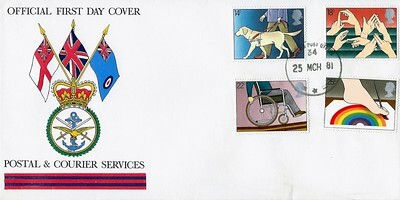 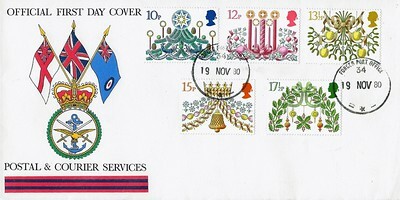 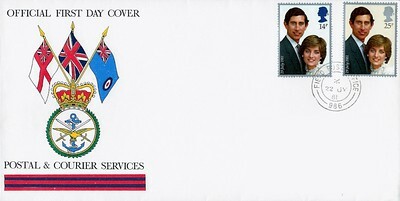 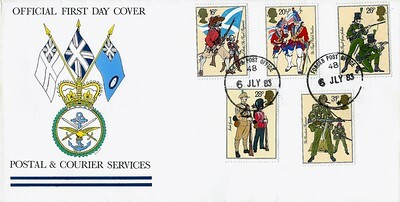 Stamps: British Army Uniforms, issued 6 July 1983. 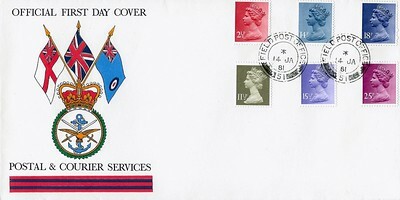 Circular Date Stamp: Forces Post Office 48, 6 JLY 83.